Watch Modern Family Season 7 Episode 20 online via TV Fanatic with over 5 options to watch the Modern Family S7E20 full episode. Affiliates with free and paid streaming include Amazon, iTunes, Vudu, YouTube Purchase, and Google Play. 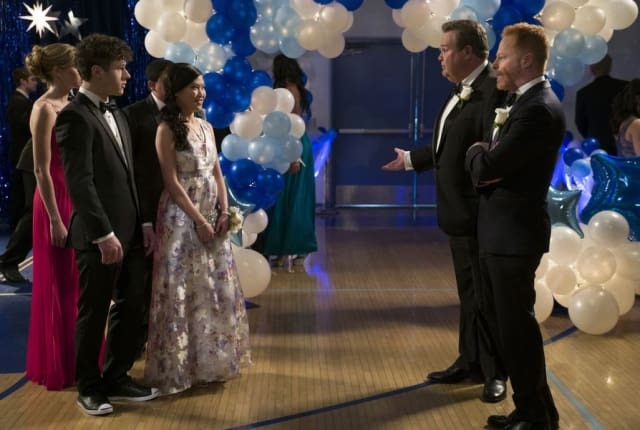 On Modern Family Season 7 Episode 20, Luke and Manny get advice on finding prom dates from Mitchell and Cameron while Claire thinks there's a spy in the company.